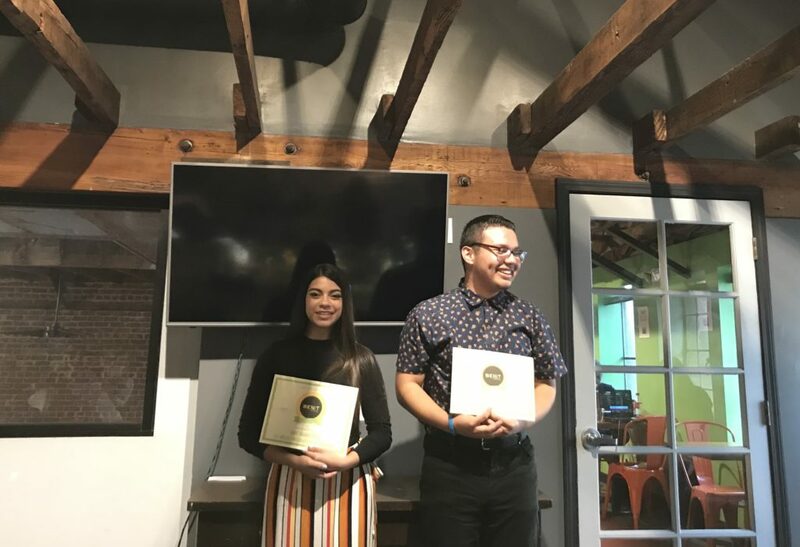 On Saturday, November 17th at With Love Cafe, we graduated our 3rd round of Knit Marketing Interns, Haydee Calderon and Ricky Rodriguez. 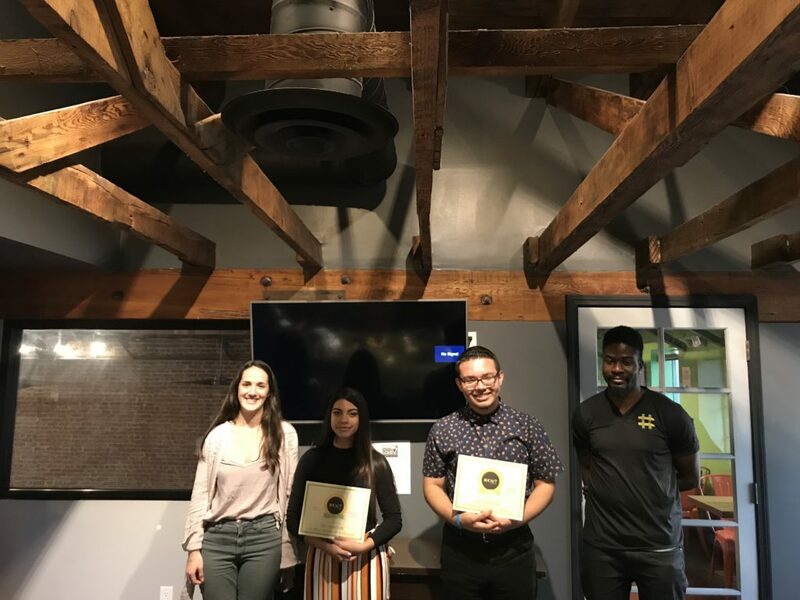 They completed 12-weeks of on-the-job training and prepared presentations about everything they learned during their internships. As seems to be the knintern trend, Ricky and Haydee far exceeded our expectations! 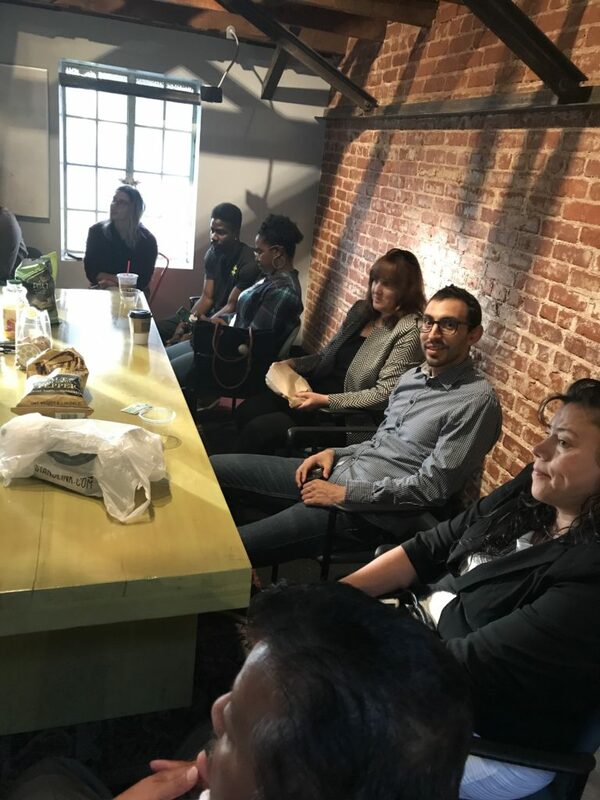 We invited friends and family to hear all about their experiences, heard from Ricky and Haydee, and had our audience drill the recent grads on their favorite moments and lifelong lessons. 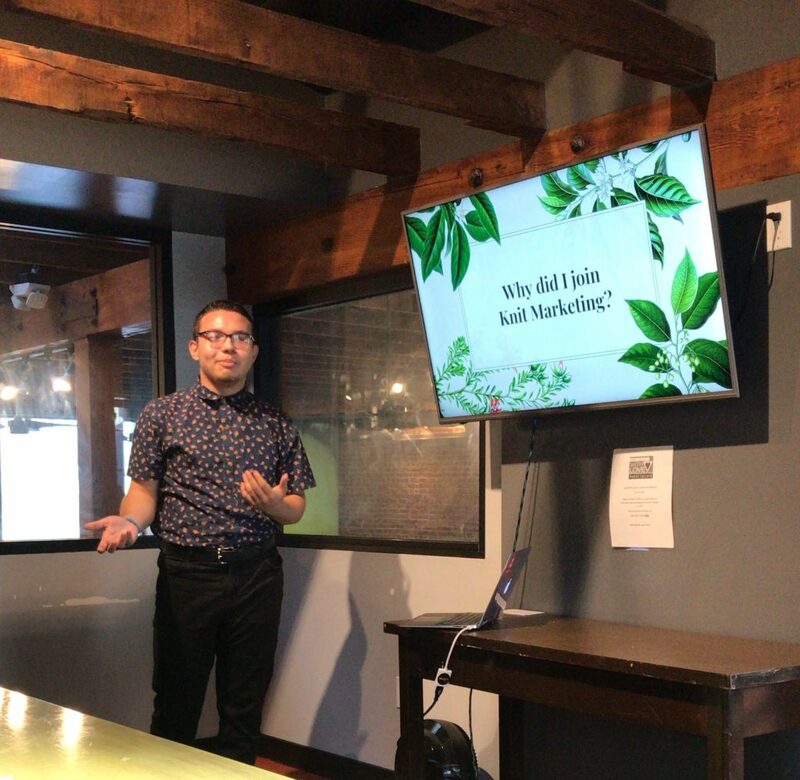 Ricky captured his excitement for the internship in a poem and talked through all the 7 Building Blocks of Marketing and what each means in the bigger marketing picture. He dreams of running his own marketing company one day and said he can apply much of what he learned during the internship to a future business; namely that it’s a lot harder to run a business than he thought. His favorite thing was being able to write posts in his own voice to his peers, by using captions and hashtags such as #letsgetthisbread. Haydee prepared an animated video complete with caricatures of everyone on the team and gave an example of a food truck service to illustrate each of the 7 Building Blocks. 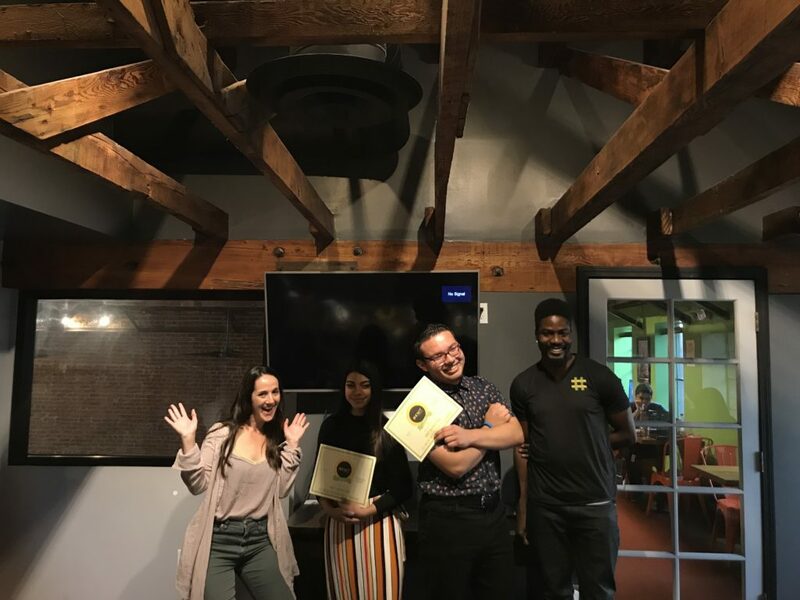 Haydee talked about how her biggest learning moment and favorite thing about training was our quarterly meeting, which was facilitated by Leah Nanni. 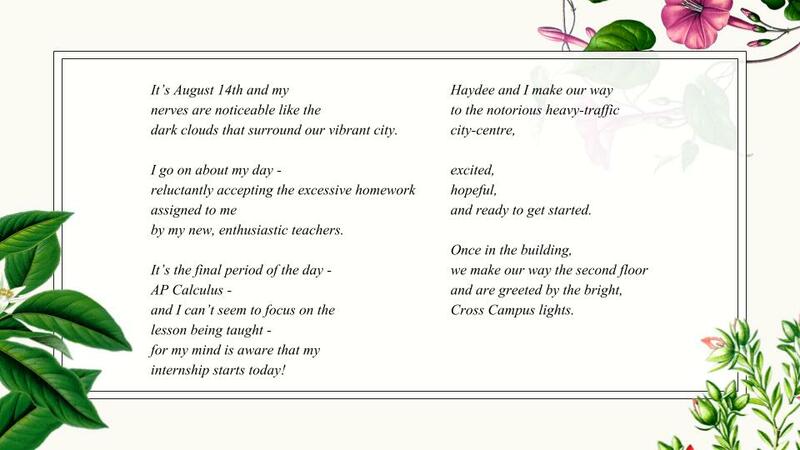 She learned a lot about time management and goal setting and was inspired to start using a planner right away! 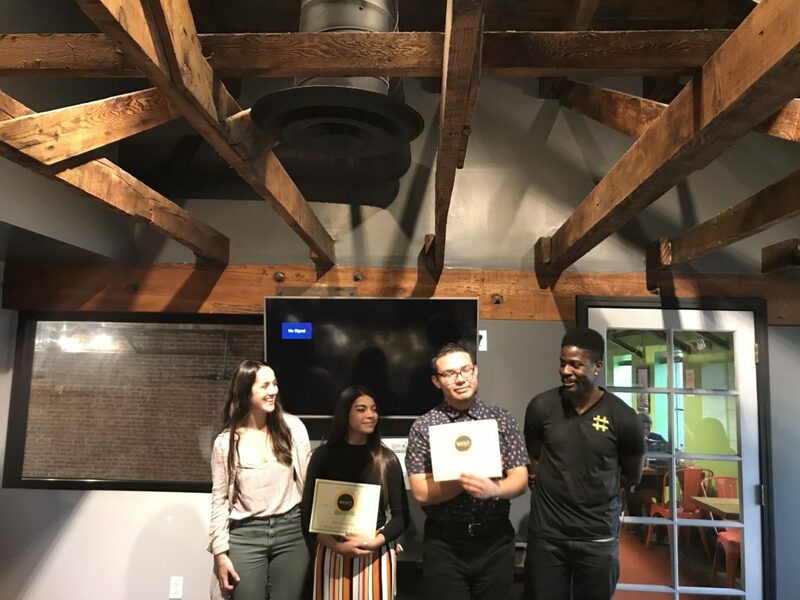 Haydee and Ricky were awarded their certificates for completing the Knit Marketing training and becoming our newest graduates! 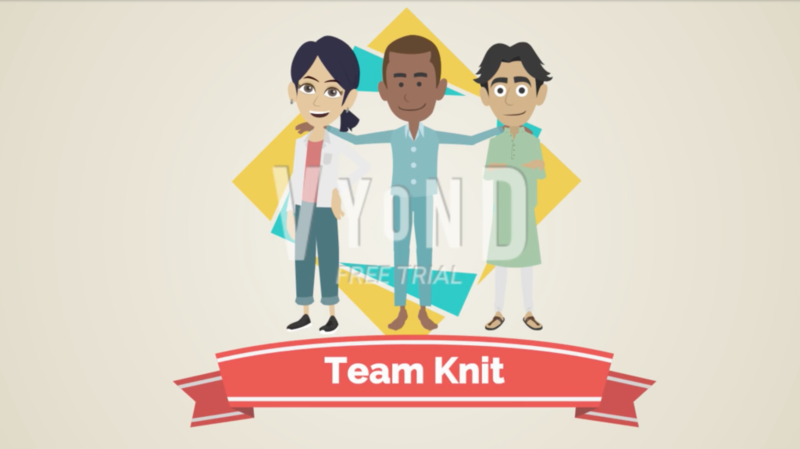 The internship is fun, but it’s not easy, and as much as Ricky and Haydee got out of the experience, they added even more to #TeamKnit. Thanks Haydee and Ricky and congratulations! 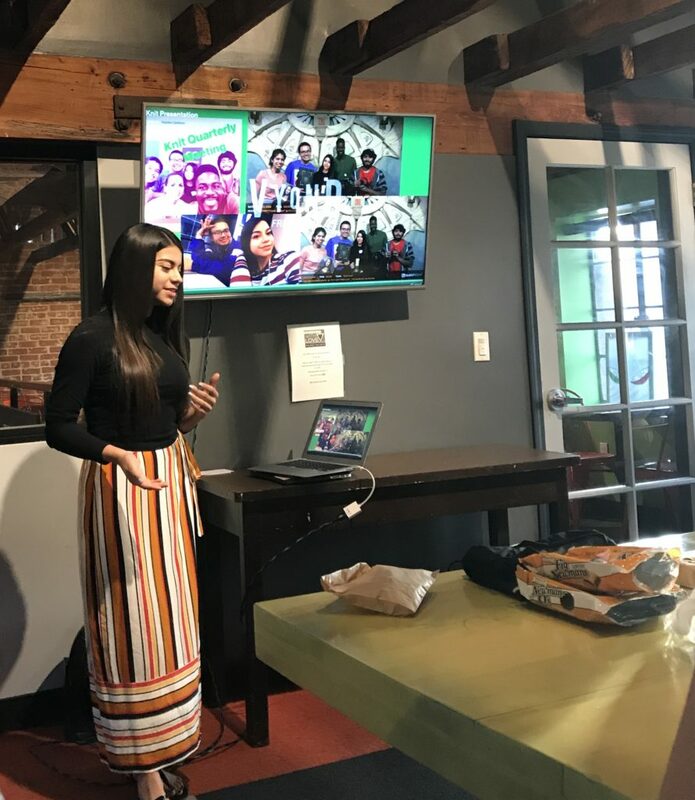 #TeamKnit is a team of Gen Z and Millennial marketers, who run social media and web campaigns for companies looking to get their message out in a unique and effective way.